Cameron Rupp will try the Twins next, will go to their AAA team. Perhaps if the Rangers are so desperately trying to bend over backwards to keep Tocci, perhaps Klentak can be advantageous, call their GM and work out some kind of deal that helps us where they get to keep him and send him down. Hasn't that been done before? It can be done but the Rangers would have to put him on waivers first. If he clears, then he belongs to the Phillies and they could work out a deal. If he doesn't clear he's someone else's Rule V pick. So I guess the question is can they legally (or informally) agree to do a deal prior to the waiver process? These deals are usually done for nothing more than cash. 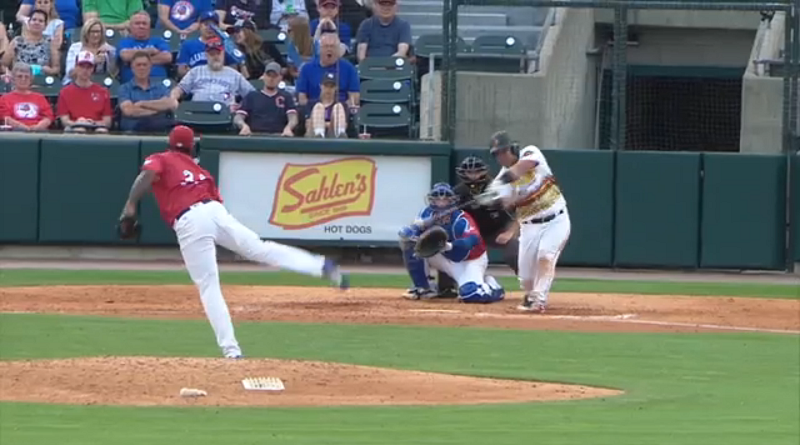 If Klentak actually wants a player for Tocci, he may as well just get Tocci (and certainly the Rangers won't be offering one who is better or more promising than Tocci). Ok, so now Lenny is saying the Uber driver kidnapped him. I think Lenny has somewhat of a credibility problem. Falcons' ace Carson Kulina struck out seven batters in 5.2 innings as Lower Dauphin edged Archbishop Carroll, 3-2. 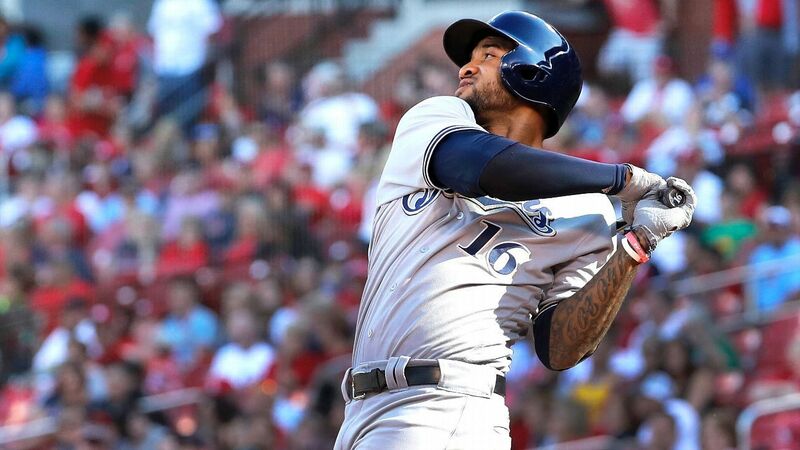 Brewers send Domingo Santana to AAA. Jayson Werth, who couldn’t make it back to the big leagues with the Seattle #Mariners, announces his retirement as @JonHeyman reports. Barring a comeback by Ruiz or Blanton or, much less likely, Rollins or Victorino, the only 2008 Phillies still standing are Utley, Hamels, Madson and Happ. A bizarre factoid about Werth and the 2008 Phillies--Werth is one of no less than eight 2008 Phillies would later resurface in the Nationals' organization (Werth, Coste (DL, never played for Nats), Dobbs, Stairs, Blanton, Madson, Lidge and Romero (minors)). I wonder if Werth will be at the reunion in August. Good story on Werth by Heyman. It makes sense really. Players have a bit of comfort with city and ballpark when they're already in the division, the team is familiar with the player, the player is familiar with the division rivals (including their former team) and the cities are fairly close together, if you live in the area (which so few players actually do). Only wrinkle is the spring training sites aren't close. Took Blanton and Madson almost 10 years though. But then there is the 2002 NL Champion Giants who had one former Phillie (Santiago) and NINE future Phillies (Bell, Lofton, Martinez, Feliz, Ransom, Worrell, Fultz, Eyre and Rodriguez). After a five year absence, Mike Zagurski returns to the Majors. The Twins called up Willans Astudillo. The man who never strikes out, at least he was when he was a Phillie. He has added some power the last few years (or the magic balls just go out easier with his modest power). 1-2 so far. OPS of 1,000. Shane Victorino says he is officially retired. Thanks, andyb. A fantastic article! Must report that after 3 games, Willians now has an OPS of 1.091. Not surprisingly, his BA and OBP are identical at .455. Philly.com confirms that he will officially retire as a Phillie. 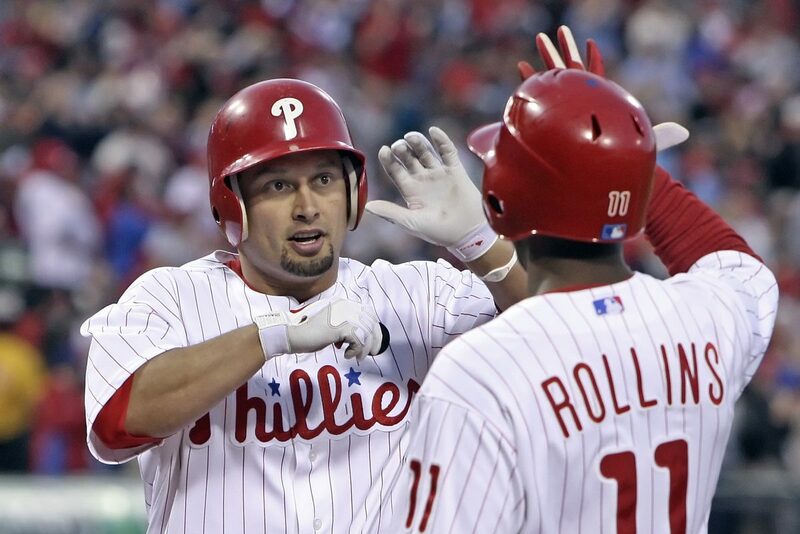 Shane Victorino will retire when the Phillies celebrate the 10th anniversary of their World Series championship. Mike Zagurski has a record of 1-1 in his MLB career. He earned the win on 6/7/07 He suffered the loss on 6/30/18 Is this some sort of record? Longest gap between first win and first loss? Longest gap between first two MLB decisions? Much farther apart than Granny Hamner's two major league decisions (1956 for the Phils, 1962 of the A's). I was at a game in 2012 when Chris Davis got a win. Maybe he will get another chance to pitch someday. He has an appropriate batting average for a pitcher. Maybe Wilson Valdez will make a comeback!